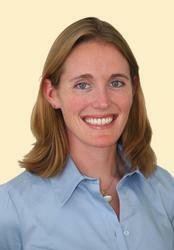 Kristen O'Halloran Cardinal received her Ph.D. in Biomedical Engineering in 2007 from the University of Arizona. Her research endeavors focused on tissue engineered blood vessels and intravascular device evaluation, and her industrial collaborations have included several medical device companies, including Abbott Vascular where she spent time in the Preclinical Research group. Prior to her graduate studies, she completed a B.S. in General Engineering with a Biomedical Engineering concentration at Cal Poly, San Luis Obispo. While a student at Cal Poly, she also was a member of the NCAA Division 1 women's volleyball team.